V Findlay Wolfe BLOG: Viewers Choice!! Thank you voters!! We are Honored! 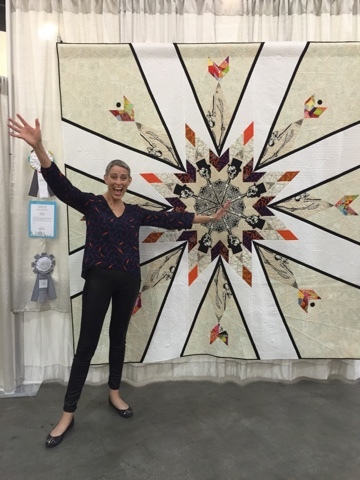 Thank you QuiltCon,Thank you Windham for sponsoring the award! Kudos to you and Shelly! You nailed it again. It's a wonderful quilt! I never realized it was so big, and so PREFECT!!! Love it. Cute picture of you also! Congratulations!! It's a fabulous quilt. You're always reaching to find new ways with fabric and design. Gorgeous quilting too. You rock and certainly deserve both awards! Congratulations to you both. 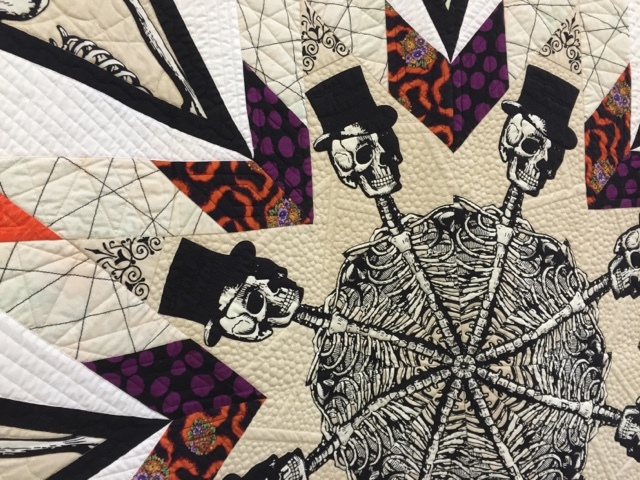 Awesome quilt and quilting. 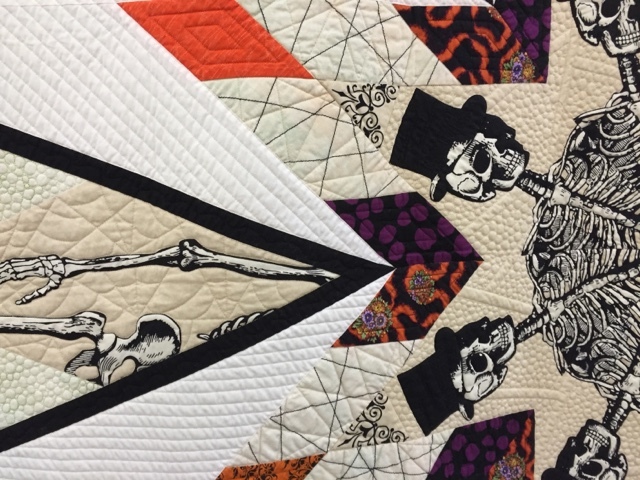 a wonderful and unique quilt. again and again you take fabric and design to a new level. 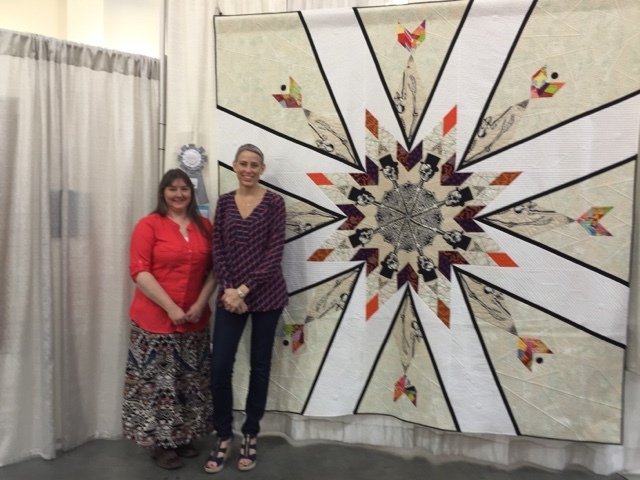 great quilting as always shelly! now what i really would like to do is take a gander at the fabric from whence mr bones came from. I'm a fabric freak! Congratulations! lots of hard work went into that quilt.